1st grade spelling practice does not have to be dull and routine. Try one of these ideas this week! Use a list of 6-10 weekly spelling words. Find a sample list here. Here's a super-simple idea for first grade spelling practice. Be sure each students has paper and pencil. 1. Before play begins, the teacher or students write each spelling word on a separate piece of colored construction paper. Place the word cards face down on the table. Socialization is part of the learning in first grade. The activities on this page work best with small groups of students. 2. Each student, in turn, chooses one card and turns it face up. Then she rolls a standard die. The number tells how many times all group members will write the spelling word on their papers. For example, if she draws the word bike and rolls a 5, everyone in the group writes bike 5 times. 3. Students continue rolling and writing until time runs out or until they've written all the words. Each member of the group needs a copy of the week's spelling words, paper, and pencil. 1. Each student secretly and randomly numbers his list of spelling words. 2. The first student begins by reading his list aloud in the order in which he has numbered them. 3. The other students try to remember the order in which the words were read. They write the spelling words in that order. 4. When students have finished writing their lists, they check to see if they wrote the words in the right order, and if they spelled them correctly. 5. Students take turns reading their lists for the other group members to write and check. Each person in the group has one turn to read his words. 1. Each student needs a red, green, blue and purple crayon and a piece of paper. 2. Each person chooses 4 spelling words and writes them across the top of her paper, using a different colored crayon for each word. She draws 4 blanks under each word. 3. Each student passes her paper to the person on the right. She chooses one of the spelling words on the page she has just received and writes it two times in the blanks under the word using her crayon of a matching color. 4. Again, each player passes her paper to the right and chooses another spelling word to write into two empty blanks. 5. The process continues until all the blanks on all the papers are filled. 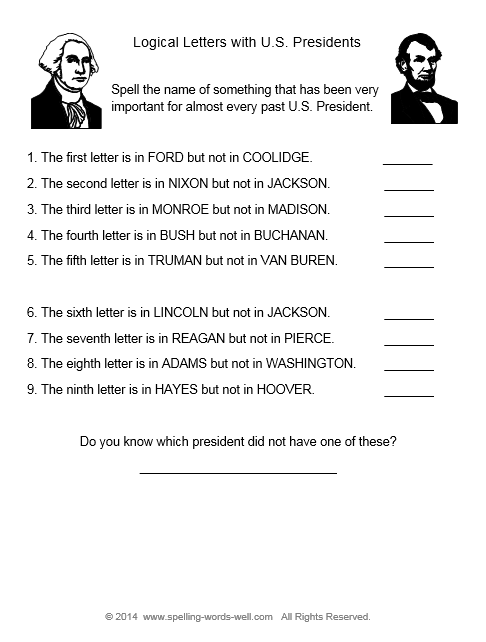 We think you'll agree that your 1st grade spelling routine just became a lot more fun! Repetition is the name of the game! 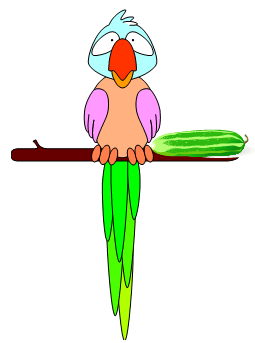 Stay on the lookout for fun, new ways for your students to practice, practice, practice. 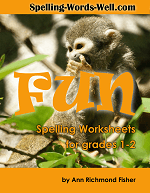 For more practice, try some of our spelling word games and first grade worksheets.